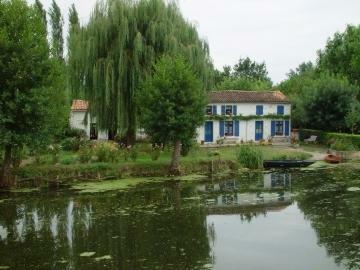 The Marais-Poitevin offers a natural environment that is unique in France. It is a region of marshes, canals and rivers and low-lying land and woodlands to the west of Niort, east of La Rochelle and south of Fontenay-le-Comte. 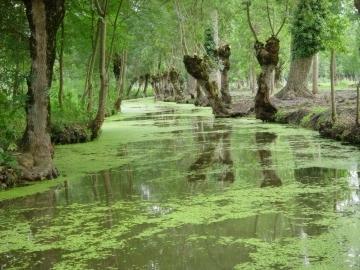 The marshes fall within both the Pays-de-la-Loire and Poitou-Charente regions. Originally the land of the region here was reclaimed from the sea as the ocean receded. 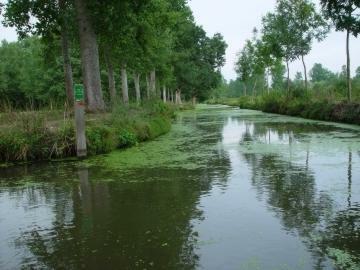 It is the northern marshy region of the Marais-Poitevin that is of most interest to visitors (the southern part is largely flat agricultural land). The main towns for exploring the region are Coulon, Arçais and Luçon. The region is extensively crossed by canals and rivers, and in many parts is best explored by boat. 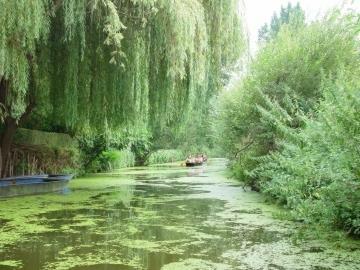 Exploring by boat provides easy access to the still, green waters as you pass through the shadows of the poplars and weeping willows and provides a unique insight into this beautiful natural environment. Usually flat-bottomed boats called 'barques' are used, and dinghy and canoe trips are also popular. You can explore on your own or guided tours are available - we suggest the early morning as the best time to enjoy the unique environment but otherwise late afternoon is a good alternative. The popular start points can become crowded during the day in summer. 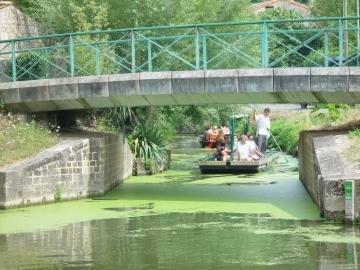 You will find information about hiring boats, guided tours and suggested routes available in many places across the Marais Poitevin. We started our trip from La Repentie a little way west of Niort. The region is known also for its wide range of fauna - from insects to mammals and birds, there is great diversity here. Herons are one of the birds that are commonly seen. 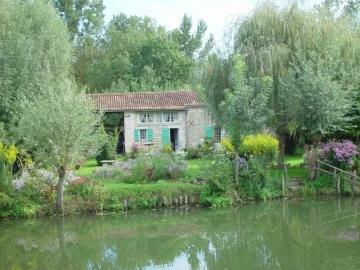 The frogs you hear are often the very noisy but hard to spot small green frogs - and the cuddly looking donkeys that you see are a variety known as Baudet de Poitou. A visit to the Natural Reserve at Saint-Denis-du-Payré or the Bird Park at Saint-Hilaire-la-Palud are good places to start to learn more about the animal life of the region. 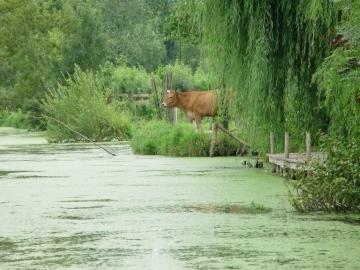 Other popular activities in the Marais-Poitevin include fishing and cycling, exploring by donkey, and visiting some of the small villages in the region (we suggest Arcais in particular). The imposing ruins of Maillezais Abbey are also to be visited, and see also the art and cultural centre at Magné (east of the region). Note: the region was a designated 'Regional Natural Parc' until 1996 but the title was withdrawn due to the intensive agriculture that had been introduced in the region. Efforts are underway to get the area redesignated. 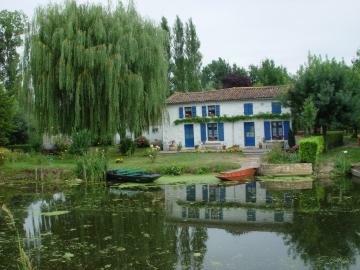 The 'wet marshes' region is classified as one of the 'Grand Sites of France'.